Gibbs breezes through these 8 tracks with his signature tight and confident flow. Most of the guest verses are not noteworthy, but BJ the Chicago Kid comes through with a great chorus on The Coldest. National Anthem in particular features one of Gibbs' best flow and lyrics on a song. 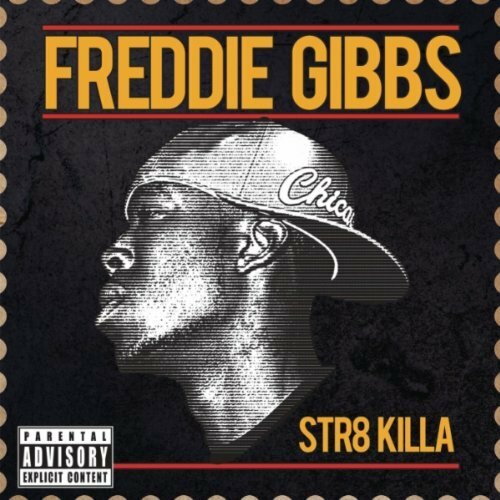 Gibbs' staggered flow along with the hard hitting beats, make Str8 Killa a very good EP from modern gangsta rap's most versatile rapper. Purchasing Str8 Killa from Amazon helps support Album of the Year. Or consider a donation?